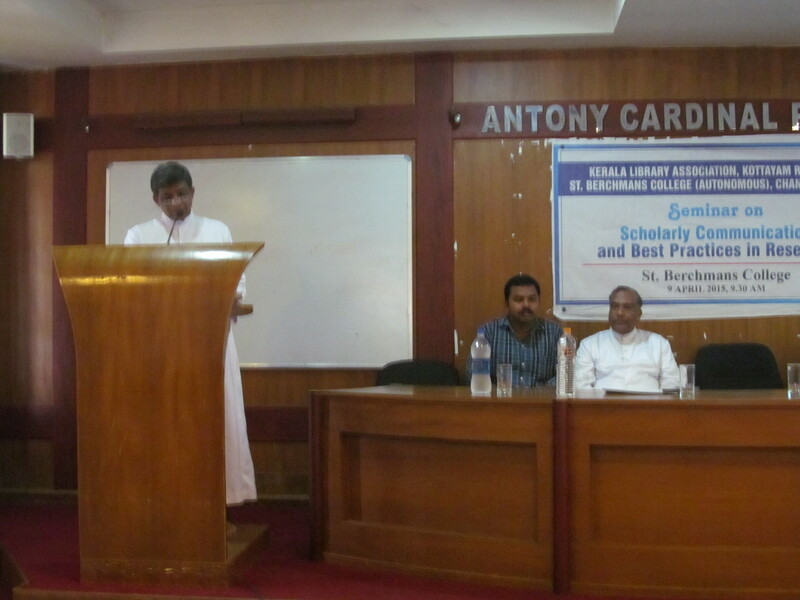 Kerala Library Association Kottayam Region has organised one day seminar on Scholarly communication and best practices in research at St. Berchmans College (Autonomous), Changanassery on 9 April 2015. Dr. Tomy Joseph Padinjareveetil, Principal, St. Berchmans College inaugurate the seminar. Posted on April 12, 2015 April 12, 2015 by Vimal Kumar V.Posted in EventTagged Academic communication, Plagiarism, Reference management software, Seminar.